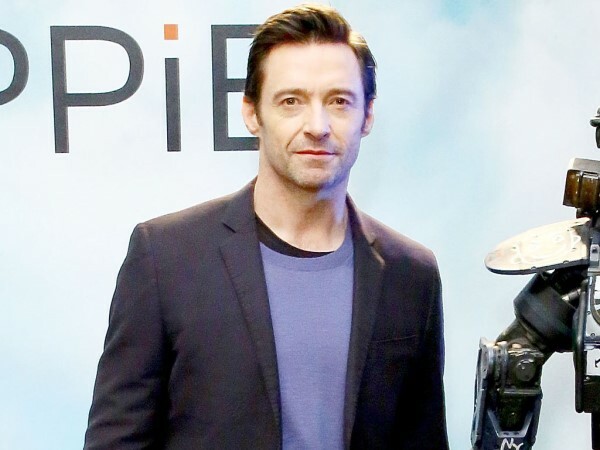 Hugh Jackman has a no-phone rule at the dinner table. The Oscar-nominated actor and his wife Deborra-Lee Furness have adopted kids Ava and Oscar together. While he might come across as one of the nicest men in Hollywood, Hugh does lay down the law when it comes to family time. "I'm a pretty strict father when it comes to [technology]," he admitted to German magazine Gala. "I'd step in straight away if Ava and Oscar were using it too much. "Phones are banned from our dinner table anyway." The star adds that he's very lucky that his kids prefer being outdoors and pick other activities over surfing the net or playing games. Australian Hugh and his wife have been married since 1996, which seems like an incredibly long marriage in celebrity terms. The key could be that he doesn't understand the appeal of smartphones. "They're the biggest killers of communication," he sighed. "When I see a couple in a restaurant, playing on their phones rather than talking, it makes me sad." It's no surprise Hugh and Deborra have been quizzed many times on their successful marriage. For the actor, it's simply because they get on so well. "From day one, we were best mates," he told Good Housekeeping magazine. "We just clicked. We were giggling and laughing - we just connected. "Deb is the last one to bed and the first one up in the morning. You know those dolls that, when you lie them down, their eyes close? And as soon as they’re vertical, their eyes open? That’s Deb. It’s almost annoying. She has two speeds: Stop and Go. She is always, ‘Let’s do this, let’s do that.’ And she is very funny, very quick."